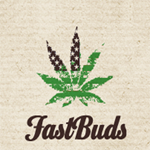 Fast Buds - Lemon AK Auto. Free US delivery. This is a Fast Buds take on an all-time classic. The original AK-47 strain was created in Holland in 1992 by combining land-race genetics from Mexico, Colombia, Thailand, and Afghanistan. This Sativa-dominant hybrid came to the US just in time for the Cali Medical Cannabis boom and quickly became a staple strain in dispensaries up and down the west coast thanks to its high THC levels.One of our most energetic strains for sale. This variety provides an uplifting, yet balanced experience. Lemon AK-47's Sativa energy is cushioned by the above mentioned relaxing effect of limonene and a touch of indica genetics. It's a fantastic daytime strain that will have you jumping off the couch with energy.